Share the post "Winter Party Food Ideas"
Entertaining in the winter is a great idea. The weather is chilly, people are dealing with cabin fever, and there is a lull after the New Year’s celebrations are over. So why not mix it up with a winter party centered on everyone’s favorite thing: food?! With items you already have on your shopping list, you can have a wonderful get-together while socializing and nourishing your guests. 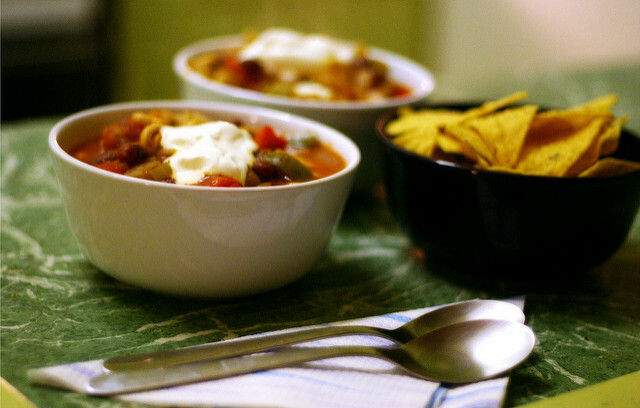 A bowl of chili on a cold winter’s day is just what the doctor ordered. Make it the focus of the party with a “bar” of chili toppings, and have guests create their own chili creations! Ground beef (or turkey or chicken), 2 lbs. Choose as few or as many as you want! In a crock pot, combine the meat and spices. Break up the meat so it’s in bite-sized chunks. Add in the onion, tomato paste, chipotles; combine. Add the beans and canned tomatoes; combine. Cover and cook on high for 4-5 hours. Set out bowls with toppings; have guests dress up their individual bowls of chili. 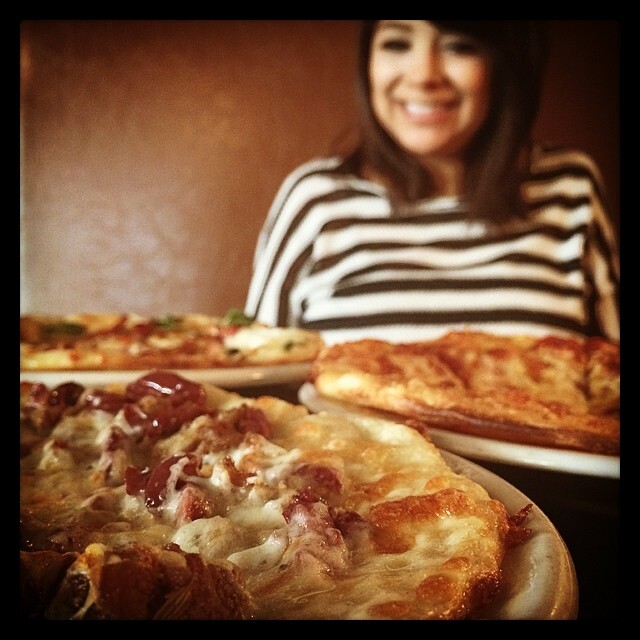 Who doesn’t love a pizza party? You can have guests make their own personal pizzas and have enough variety for the vegetarians, meat-lovers, and everyone in-between! Preheat oven to 450 F. Grease a baking sheet with oil or spray. Combine the flour, cornstarch, sugar, baking powder, and salt in a large bowl. Mix in water and oil; knead until it resembles dough. Flour the countertop and roll out the dough to a circumference of about 9 inches and ¼-inch thickness. Brush with oil and spoon desired amount of sauce. Add cheese and other toppings. Bake 12-15 minutes until crust is golden brown. Remove, cool, and serve.